Bilie Human Rights Initiative (BHRI) is a human rights organization registered in Nigeria and in the United Nations for human rights advocacy. It has been admitted into the United Nations ECOSOC Special Consultative Status and granted the right and power to designate its representatives for three seats in the UN Headquarters in New York and the UN Offices in Geneva and Vienna. To facilitate economic development, technological development and poverty eradication through research works and the promotion of qualitative education and impartation of vocational skills to the unemployed. To promote peace, security, domestic stability, respect for human rights, sustainable development, people-oriented policies, and an overall commitment to the improvement of the society and peaceful co-existence of all peoples through Seminars and Workshops. BILIE HUMAN RIGHTS INITIATIVE IS A HUMAN RIGHTS ORGANIZATION FOR NATIONAL LIBERATION AND INDEPENDENCE OF THE BIAFRAN PEOPLE WITH DE FACTO GOVERNMENT HEADQUARTERS IN BIAFRALAND FOR THE INDIGENOUS PEOPLE OF BIAFRA HAVING THE MANDATE TO DEFEND, UPHOLD, PROTECT AND ADVOCATE FOR THE RIGHTS OF THE INDIGENOUS PEOPLE OF BIAFRA AND GUIDE THEM TO SELF-DETERMINATION AND INDEPENDENCE BY THE RULE OF LAW, BRINGING THE SITUATION IN BIAFRA TO THE ATTENTION OF THE UNITED NATIONS AND THE ENTIRE WORLD. In line with its registered objects, Bilie Human Rights Initiative was authorised by the Supreme Council of Elders of Indigenous People of Biafra in 2012 by a Power of Attorney to represent the Biafrans in their national liberation struggle for self-determination under the Laws of the Federal Republic of Nigeria 1990 and the United Nations Declaration on the Rights of Indigenous Peoples 2007. 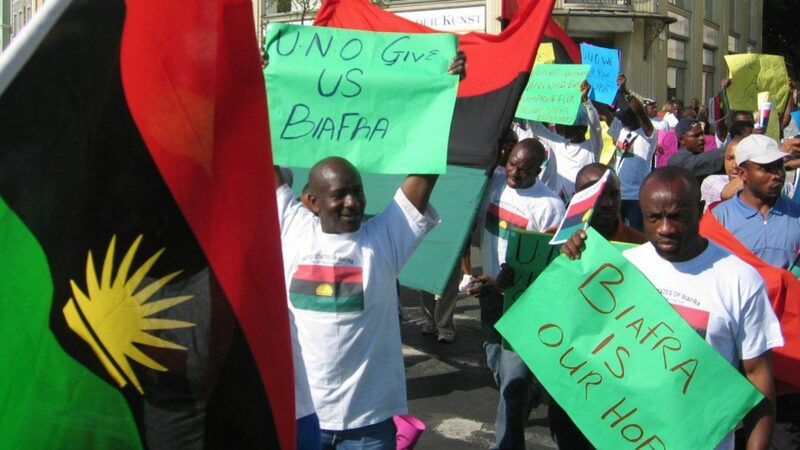 Pursuant to this power and instruction, the organization filed the Suit No FHC/OW/CS/102/2012 in the Federal High Court Owerri representingIndigenous People of Biafra as Claimants against the Federal Republic of Nigeria & Attorney-General of the Federation as Defendants which was later reconstituted as the Suit No FHC/OW/CS/192/2013. The case is still pending in the Federal High Court Owerri Nigeria. However, following some recent events which the claimants have interpreted as a ploy by the defendants to frustrate the case in Nigeria, the human rights organization is now preparing the necessary documentations to refer the matter to the International Court of Justice in The Hague.